GREETINGS from me, Ed Black, in Paradiseo. The Aegean in August is a translucent shimmer reflecting cloudless blue skies and unblinking sunshine. My island home is busy with mostly Athenian tourists but here, in its Old Harbour, a peaceful timelessness prevails. Roy has asked me to do this post update for the website as he is busy formatting another book for publication - he'll announce that very soon. Also, he tells me, in late September you have another chance to meet him at a book signing. 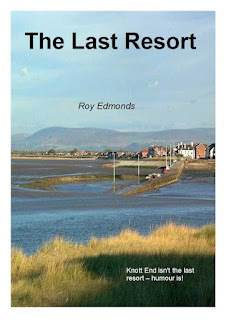 This time it is at a place called Knott End that features on the cover of his last title, The Last Resort (see our Books page). Judging from that evocative photograph, we have barren islands here that are more active - but I'm sure his signing (at the local library) will liven things up. As regular readers will recall, Paradiseo is not the real name of this island. But I prefer not to attract more Brit tourists than we already have. The more discerning amongst you probably already know the best parts of the Greek Islands. You will always be welcome at my cocktail bar/grille Black Velvet. In past posts I've already told you about some of our local characters, such as Adonis the buggy driver, Romeo the fallen Italian priest and Mario our adopted Albanian mongol. 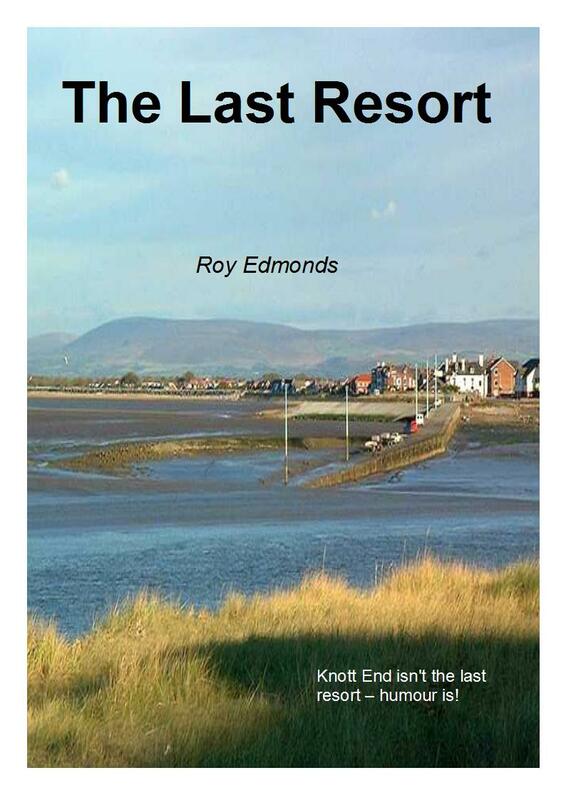 Such tales were included in Roy's round-up for The Last Resort. Many of you have also enjoyed my novels, particularly the spicy Romp & Circumstance, set in Hong Kong where I first met up with Roy. I started writing this post in early July but the days drift here so. It's rather different, you see, in Paradiseo. You get up and, whenever possible, do pretty much what you like. That's how life should be lived. The mutual understanding and different outlook is reflected in the way we give directions to newcomers, or how outside mail reaches us. "Katina?" I said the other day to some German backpackers looking for a fisherman's wife who takes in guests. "Ah, yes, keep along the waterfront, past the new harbour and up to the far point. Her house is set back with blue shutters." It only occurred to me later that most houses here have blue shutters but anyone near there would point out Katina's. She's a formidable woman with such a powerful voice she can converse easily from her kitchen with a cousin who guts and cleans fish at a seafood restaurant 100 metres away. No wonder her husband spends most of his time fishing. Locals directing visitors to me tend to point round to the Old Harbour then tell them to look for the place with dark shutters (to go with the Black Velvet image) and a big dog in the garden. Heaven knows how they'd find me if the shutters were open and I was out walking Bacchus, my docile Bull Mastiff. Similarly, overseas post arrives for me marked 'Ed Black, Paradiseo, Greece'. That really makes me feel I belong. I hope you feel like that, too, wherever you are. That's a little taste of Paradise!